All westbound lanes of Highway 24 were closed Friday morning following a police chase that ended with an overturned vehicle on the freeway in Orinda, according to the California Highway Patrol. Anser Hassan reports. 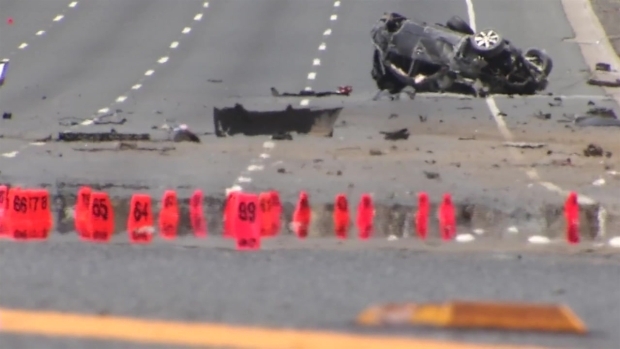 A jury in a Contra Costa County coroner's inquest found Tuesday that an Oakland man who died in a crash following a police pursuit last year in Orinda died as a result of an accident, according to a spokesman for the sheriff. Lawrence Martin, 20, was transported to a hospital after a police pursuit and crash near the Orinda BART station Saturday, July 21, 2018. Orinda police had attempted to stop a Nissan Altima for vehicle code violations in the vicinity of St. Stephens Drive and Tahos Road around 9 a.m. 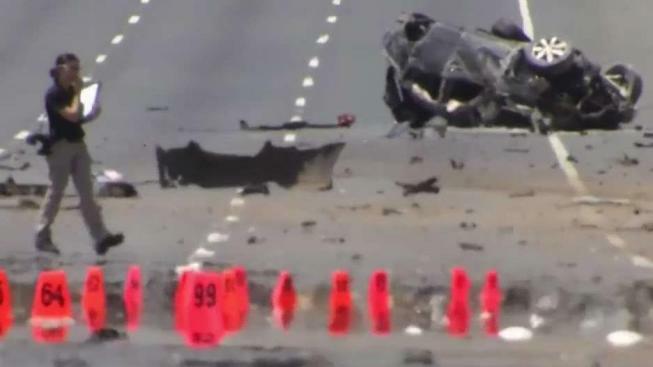 The driver of the Nissan allegedly sped away, leading officers onto state Highway 24. Officers lost sight of the vehicle, but it subsequently crashed near the BART station. All westbound lanes of Highway 24 were closed Friday morning following a police chase that ended with an overturned vehicle on the freeway in Orinda, according to the California Highway Patrol. Martin and a second man in the vehicle, later identified as 20-year-old Danny Lockett of San Francisco, were both transported to a hospital. Martin died and Lockett was arrested on suspicion of felony evasion and violating the terms of his probation. According to Jimmy Lee, who issued a statement on behalf of the sheriff's office, the inquest jury unanimously determined that the death had been accidental, based on witness testimony. The coroner convenes inquests any time a person's death involves a peace officer. Juries have the option to rule the death an accident, suicide, death by natural causes or death at the hand of another by a manner not considered an accident.